New home in Romainville for the frac île-de-france reserve collection! The frac île-de-france will benefit from a new home for its reserve collection from autumn 2020. 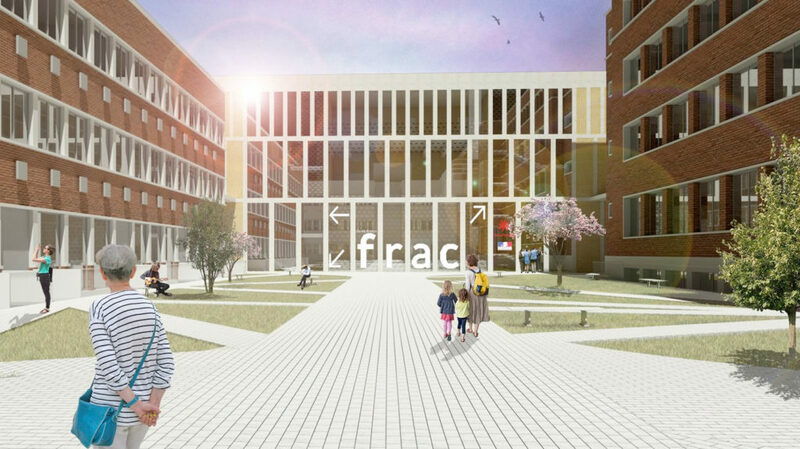 A new 2000 m2 building has been bought to host the Frac collection by the Île-de-France region in partnership with the Ministry of Culture, at the heart of a site in Romainville, invested in by the Fiminco Foundation. The frac île-de-france will have new amenities in Romainville, the final component of its multi-site, three-pronged project: Le Plateau in Paris dedicated to production; the Château in Rentilly for regularly exhibiting the collection; Romainville for optimum conservation of the reserve collection. Through these three locations, each with different audiences, the frac operates at the heart of the Paris region, within the inner and outer suburbs, while continuing its off-site diffusion programme through its collection boasting over 1600 works. In Romainville, beyond the function of storage, the collection and backstage is presented in a different light. Mediation activities will be initiated around works and professions and roles related to the collection regarding conservation, restoration and circulation. Almost a quarter of the spaces in the building will be made accessible to the public, an unprecedented proportion in a venue whose main function is the storage and conservation of works. The reserve collection will be housed in a new building within this new contemporary art hub in eastern Paris – a former industrial area currently undergoing reconstruction by the architecture firm Freaks – that will also accommodate studios and residencies for artists, the Fiminco Foundation exhibition space, several contemporary art galleries (Air de Paris, Fabienne Leclerc, Imane Farès, Vincent Sator, Jocelyn Wolff) and the artists’ association Jeune Création. Activities will be developed in synergy with the various stakeholders of the site – resident artists, galleries, foundations – to foster meetings and discussions, and specific dissemination projects will be implemented in conjunction with based partners so that the frac île-de-france can benefit from strong roots in this new area.